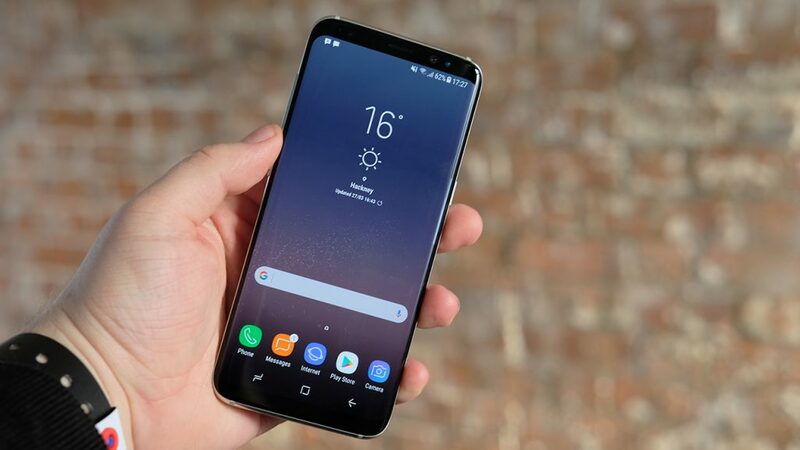 Samsung deal is here for as many that have been aiming to get Galaxy S8 phone the time is right here, it's a nice deal from T-Mobile which is unusual and the lapsing time cannot be determined so if you want to buy make haste now and pick it up. Samsung phones always retain their value better than many of their competitor but it's so surprising to have seen this coming forth offering the T-Mobile Galaxy S8 for only $350 compared to the former released price. Some times ago we have Verizon given it discount, it seems they are making it in turn and don't know who's the next, the specifications remain the same as released. The handset was released with 5.8" 1440p AMOLED display, a Snapdragon 835, 4GB of RAM, 64GB of storage, a 12MP camera, an 8MP front-facing camera, and a 3,000mAh battery. Galaxy S8 came with advanced security measure iris scanner and it's also water resistance with ability to snap under water. Fast charging feature is not left out so if you're planning to buy now , hurry and make it up. T-Mobile Galaxy S8 is availablein Arctic Silver which is $350, all you need to do is to make payment and you get your phone deliver in couple of days on free shipping.